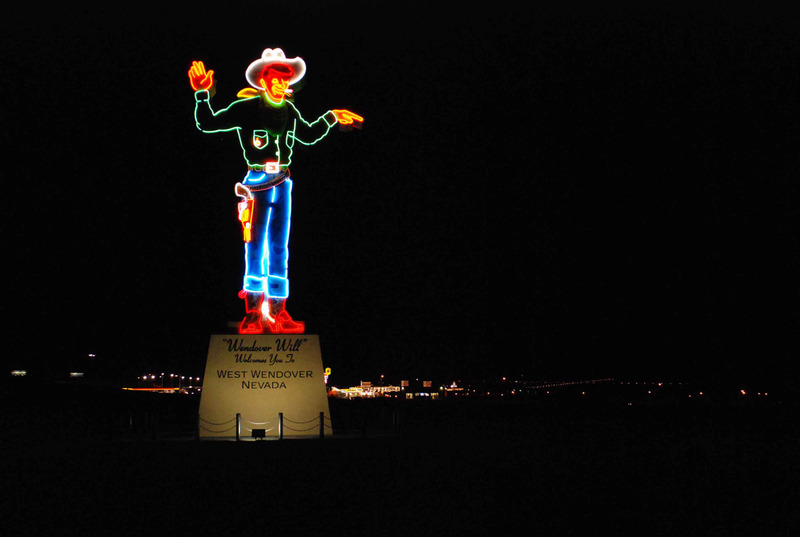 This awesome photo of Will at night was shot by Dave Beedon. 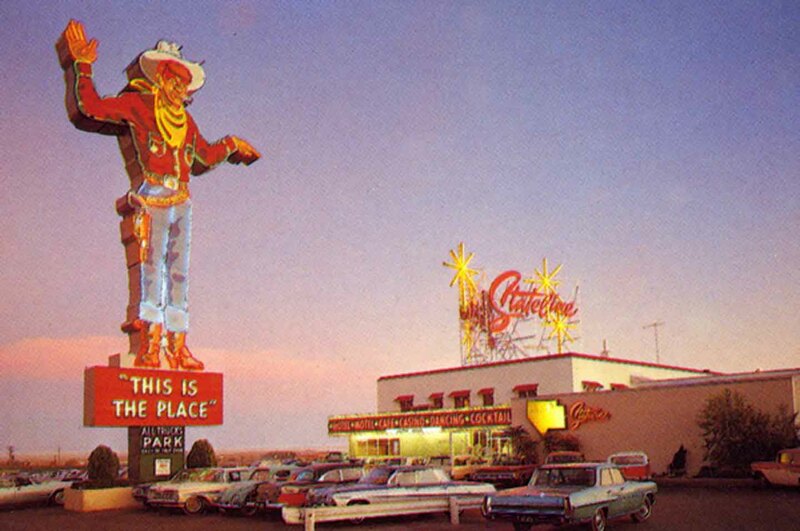 This is Will in front of the Stateline casino, circa 1960. The photo comes from the great website Frank Busca's Route40.net . 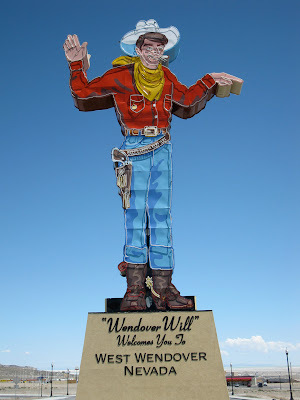 Here's Will's brother, Vegas Vic. 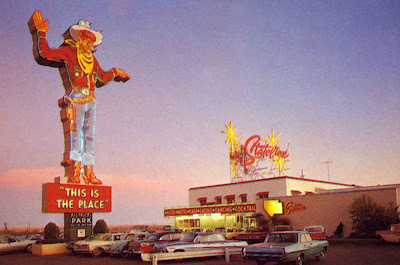 In 1952, a Mr. William Smith opened a casino in the small northern Nevada-Utah border town of West Wendover called the Stateline. He had the good taste to commission a Mr. Pat Denner, the designer of Las Vegas' famous Vegas Vic neon cowboy, to adorn his gambling parlor with a similar cowpuncher to give everybody a friendly "Howdy, pardners!" as they drove by and nudge them in the direction of his wagering temple. And thus Wendover Will, named for both the town and Mr. Smith, was created, and Mr. Denner made him an even taller galoot (63 feet) than his older brother, earning him the distinction of the World's Largest Mechanical Cowboy from the Guinness Book. 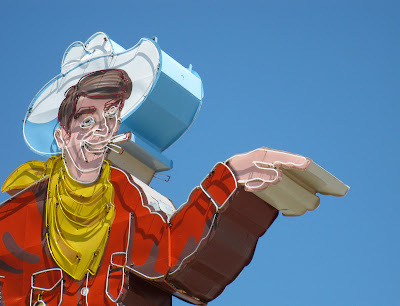 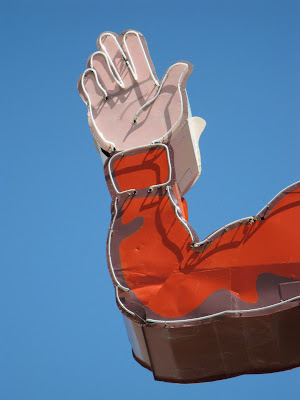 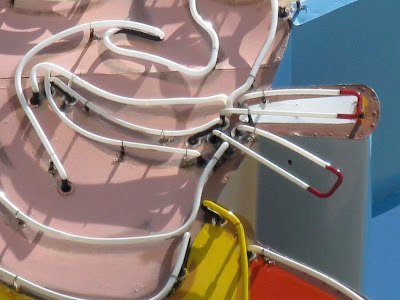 Both of Will's arms waved, his eye winked, his cigarette flicked, and his 1,184 feet of neon tubing flashed day in and day out until 2002, when the Stateline changed ownership and Will was kindly donated to the town, who made him their good-Will ambassador and moved him to an even better location and gave him a lavish restoration. 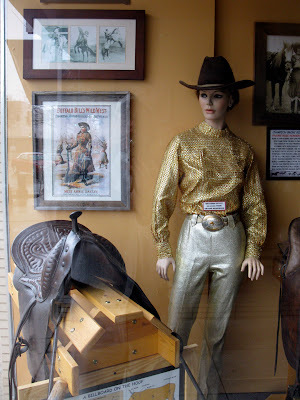 His white hat, yellow bandanna, red shirt, Levis, cowboy boots, and six-gun gleamed in the hot midday Nevada sun when we passed through town last spring, but, alas, we weren't able to stick around and see him all lit up and in motion after dark. If anyone out there has a video of Will at night, we'd love to add it here. 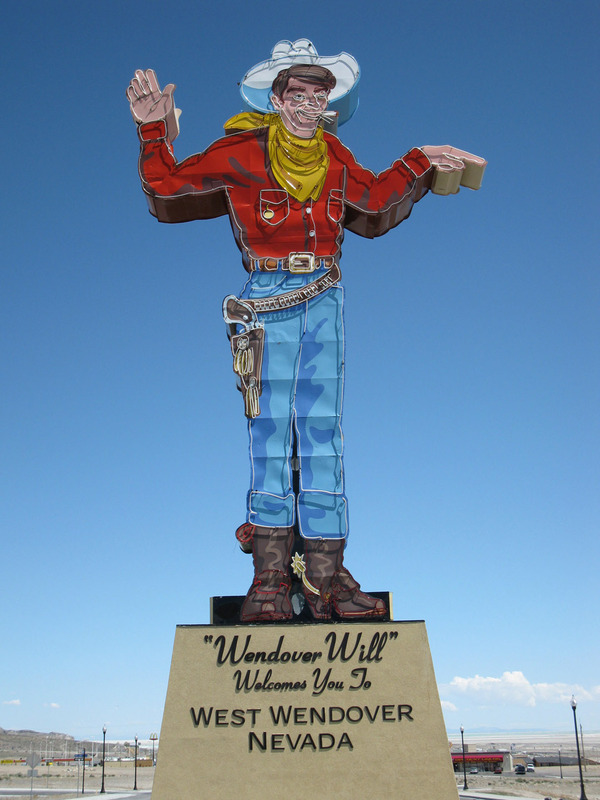 It's encouraging when a treasure like Will is recognized for the neon-tastic icon he is and a town revels in his awesomeness. 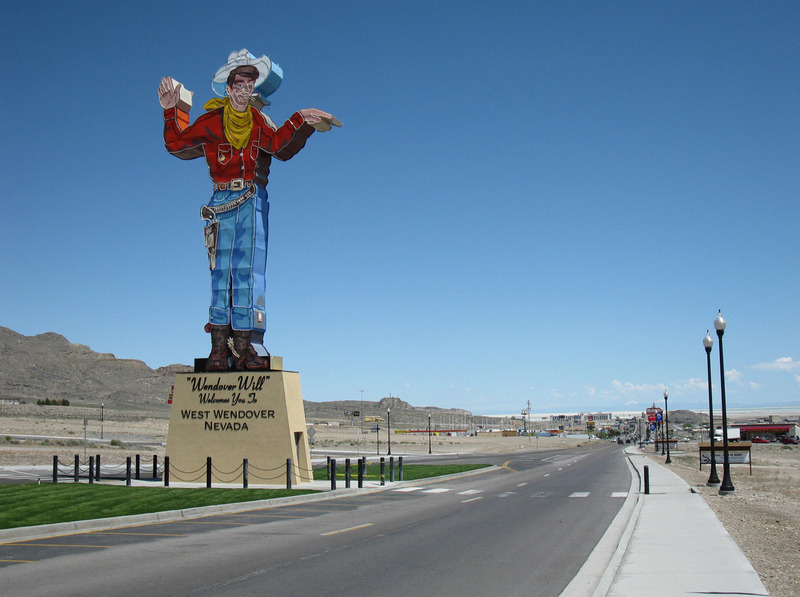 Kudos to West Wendover for appreciating where there's a Will, there's a he-went-that-a-way. 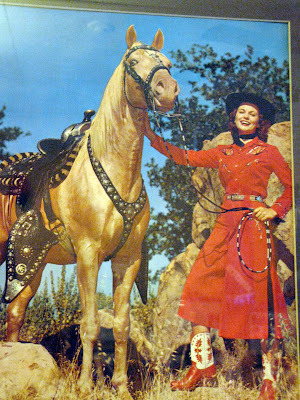 Happy trails to you. 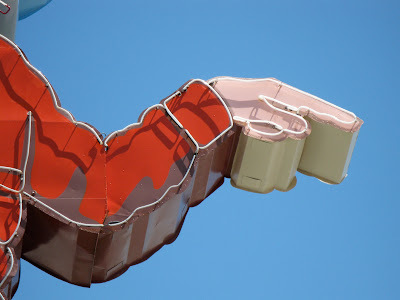 Well, brown's a color too, you know. 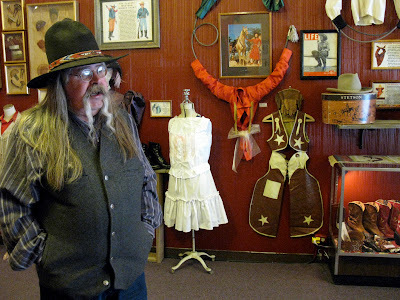 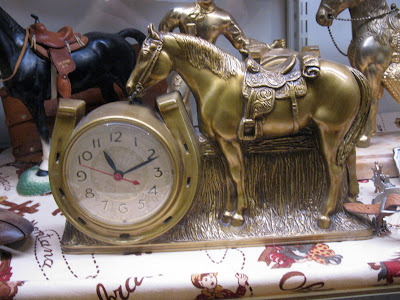 Ben, a museum volunteer, tells of his family's Western cowgirl pride. 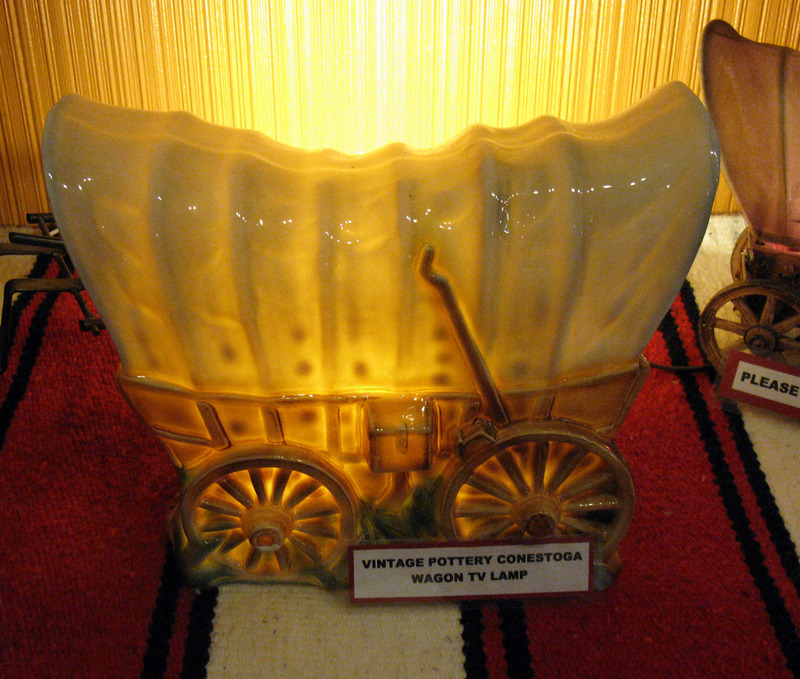 How come they don't make TV lamps any more? Check out the great names on this wallpaper: Jolene, Emmylou, Ginny, Kay, Ruby, Jesse, Red, Grace, Rosa, Nell and Ma. Berva Dawn Sorenson rocks a pair of Wrangler Blue Bells. 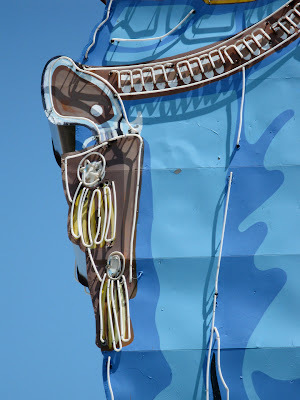 If the definition of a cowboy is guts and a horse, then the definition of a cowgirl should be guts, a horse and a skirt. 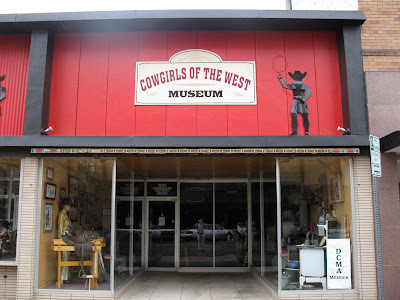 There's an ace-high spot in the wild and wooly western town of Cheyenne, Wyoming that pays tribute just such a gal that's as fine as cream gravy...the Cowgirls of the West Museum. 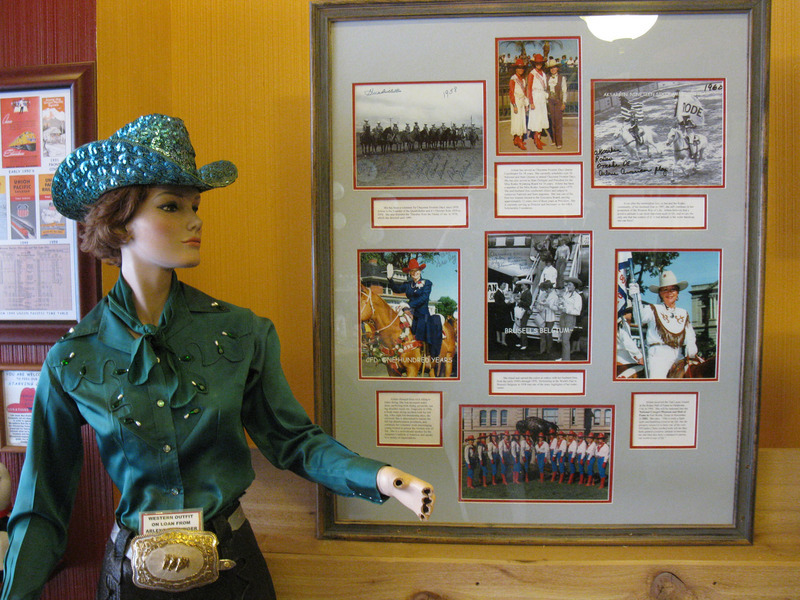 In it, you'll find a heapin' helping of artifacts that pay tribute to the women of the American west. 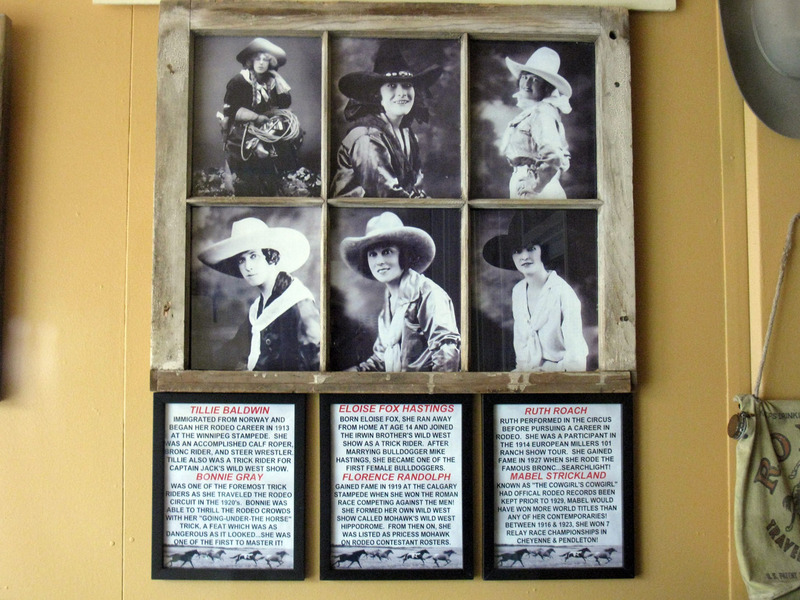 At a time when a woman simply sitting on a horse could be seen as scandalous, these gals were rootin', tootin', ropin' and shootin'. There's Bonnie Gray and her horse King Tut, jumping over convertible motor cars (with passengers!) 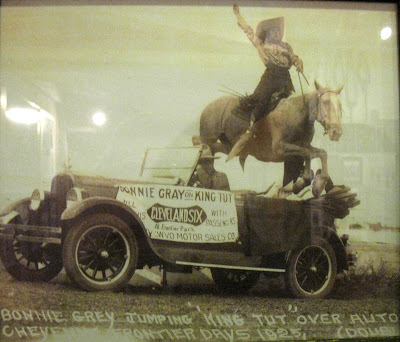 in 1925. 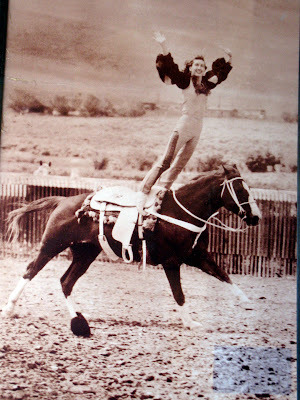 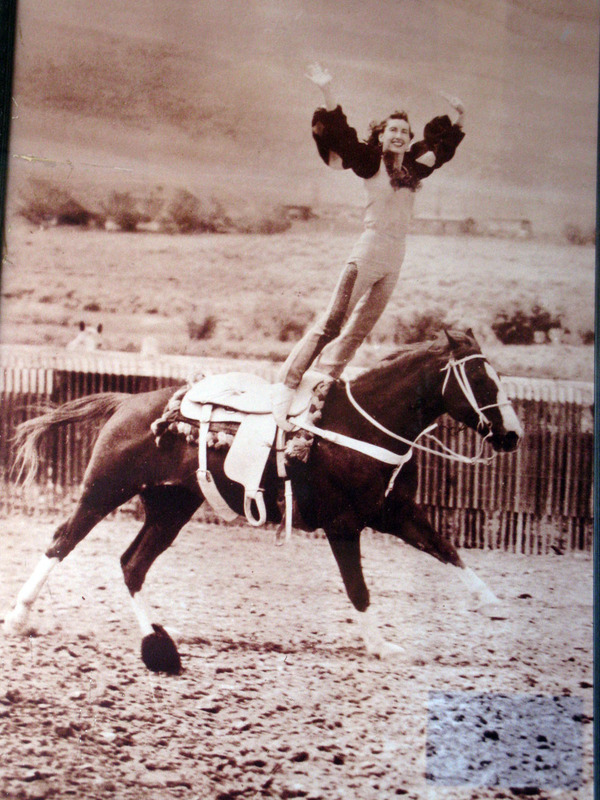 There's Elouise Fox Hastings, who ran away from home when she was 14 and joined the Irwin Bros. Wild West Show as a trick rider. There's Prairie Rose Henderson, who, in 1911, was awarded the title of world's champion bronc rider and was known as the queen of rodeo fashion. And there's Tad Lucas, the First Lady of Rodeo and the undisputed world trick rider from 1925-33. Not a namby-pamby in the bunch. 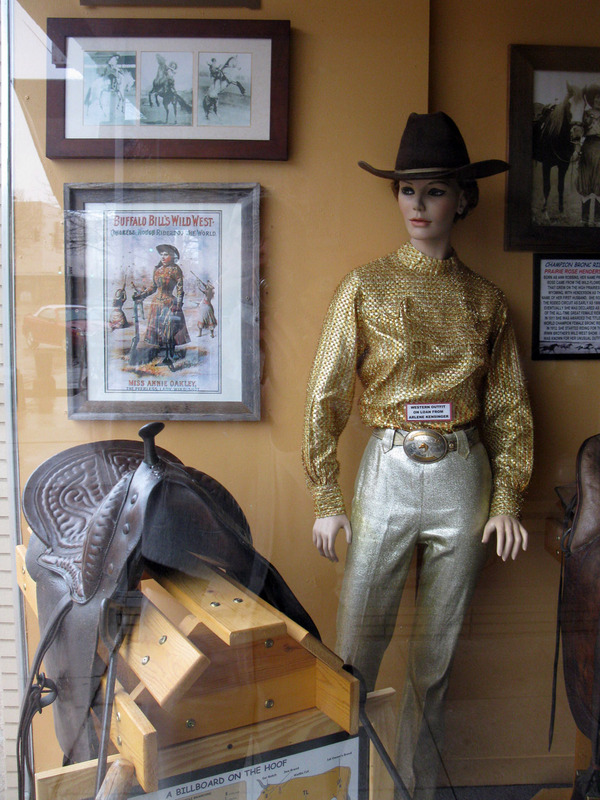 But wait, pardners, there's more. They've got buckles, saddles, costumes, hats, and spurs that go jingle jangle jingle. 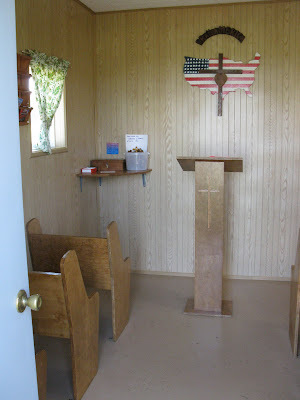 And you can get in to see the whole shooting match for free, donations accepted kindly. 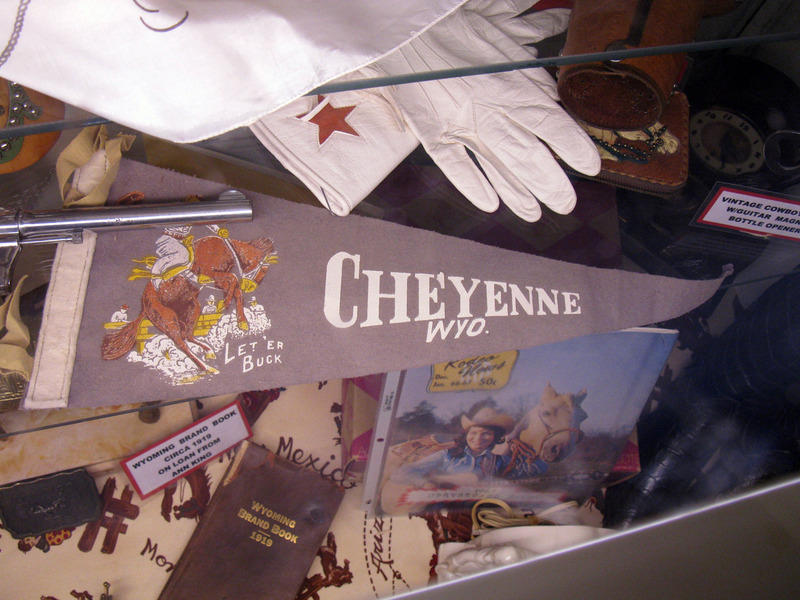 So the next time you find yourself in Cheyenne, God willing and if the creek don't rise, mosey on over the Cowgirl Museum. Not to do so would be plumb loco. 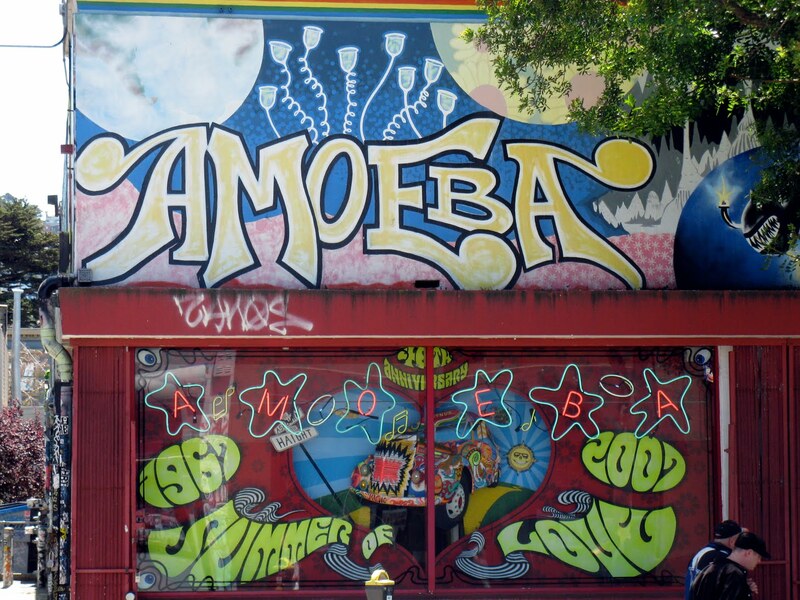 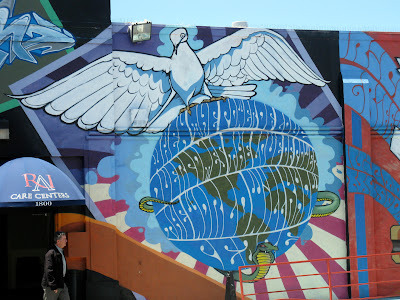 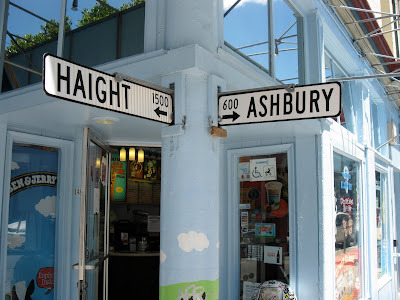 Forty-four years ago, as many as 100,000 young people crammed into San Francisco to make the scene, blow their minds and have an otherwise outta sight time in the world's grooviest neighborhood, Haight Ashbury. 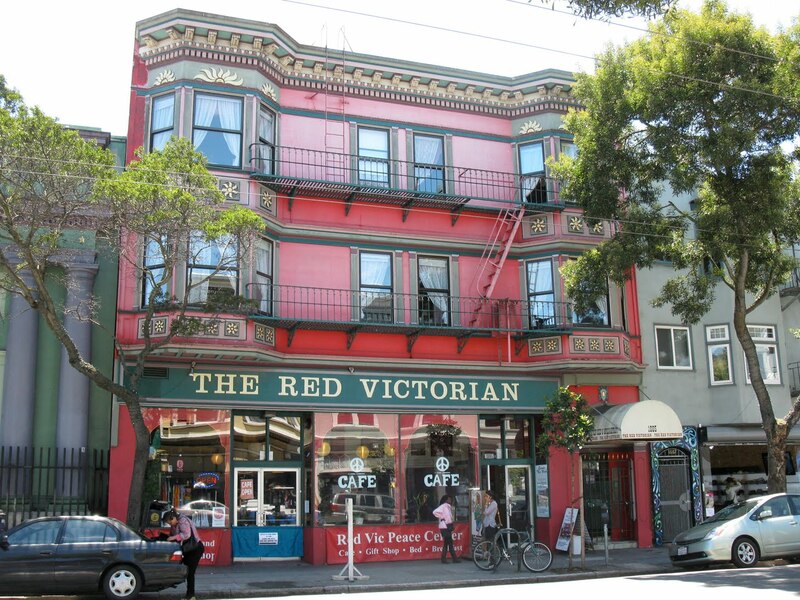 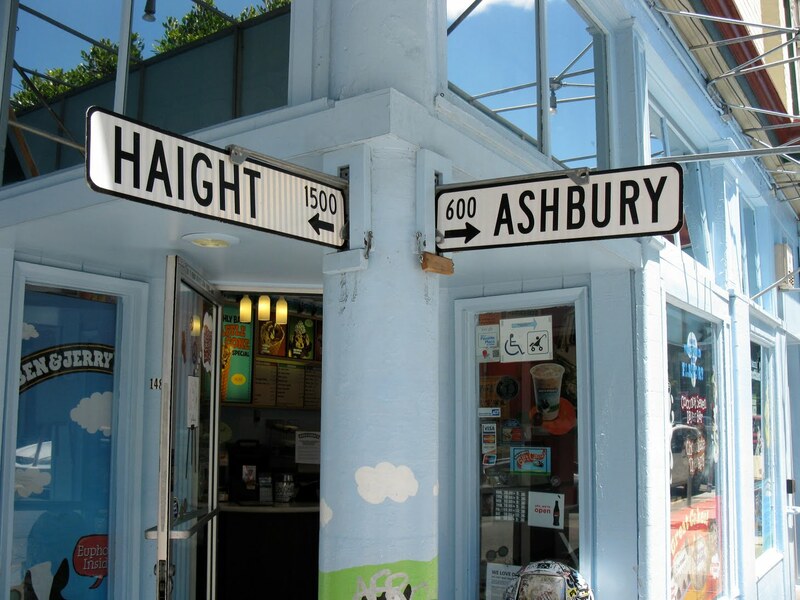 Popular as a hippie enclave because of its plentiful cheap rents in devalued Victorian houses, "The Haight" reached its pinnacle as the counterculture epicenter during 1967's "Summer of Love". 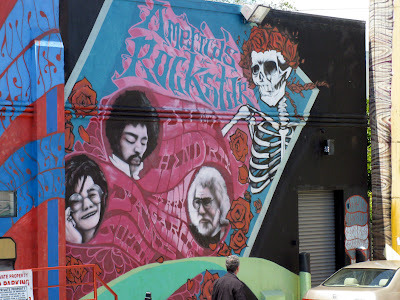 Bohemia, free love and all the mind-altering substances one could consume were the order of the day, and the artists-in-residence included Jimi Hendrix, the Grateful Dead and Janis Joplin. 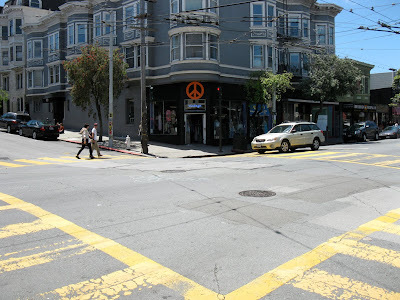 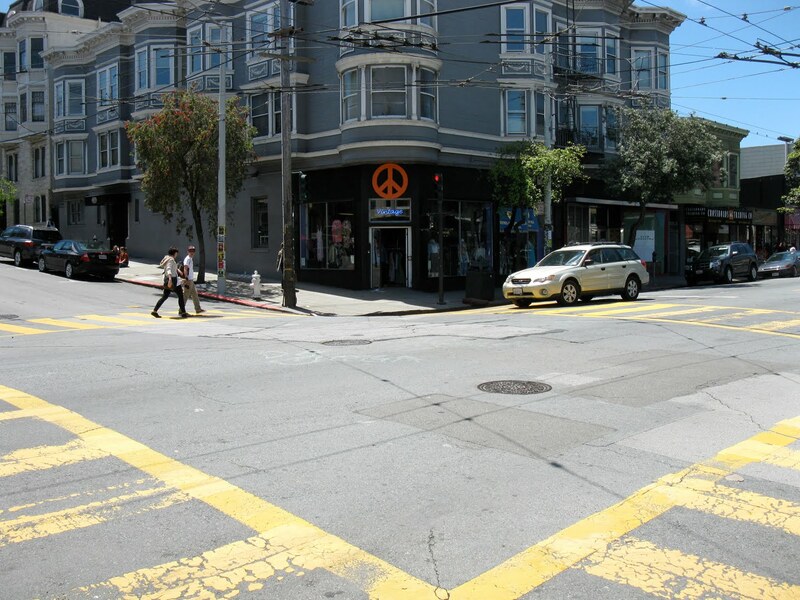 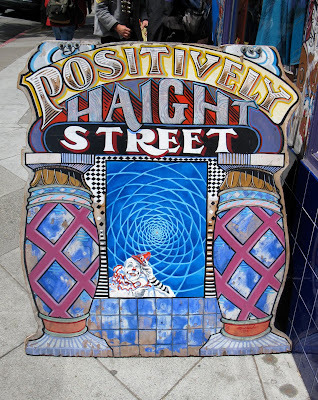 Haight Ashbury gained national attention, with busloads of Middle Americans being guided through the circus-like atmosphere of the feared and misunderstood hippie. 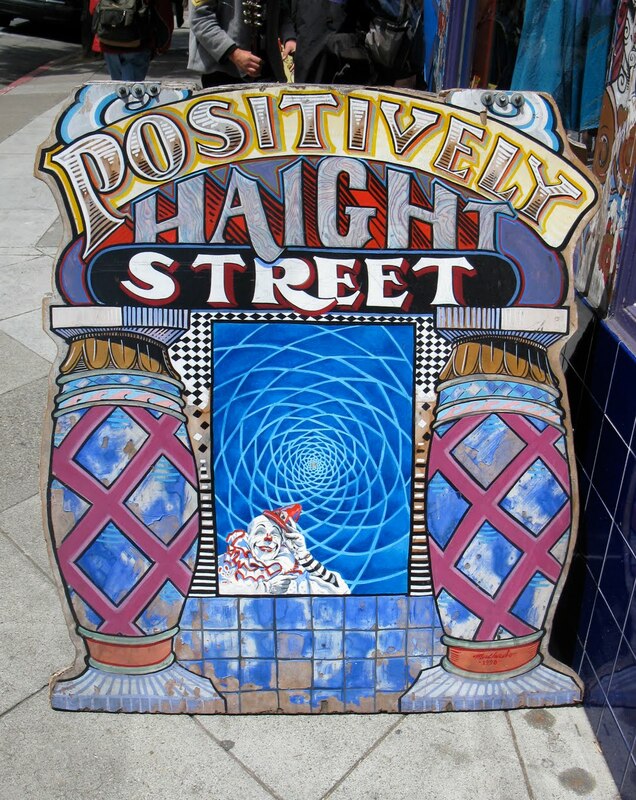 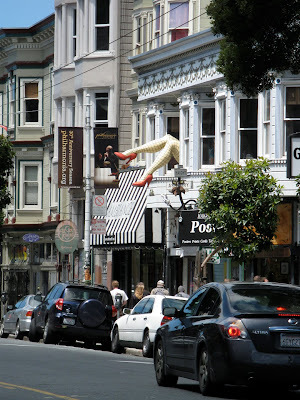 The downside of Haight Ashbury's notoriety were runaways, overcrowding, homelessness, drug problems and crime. 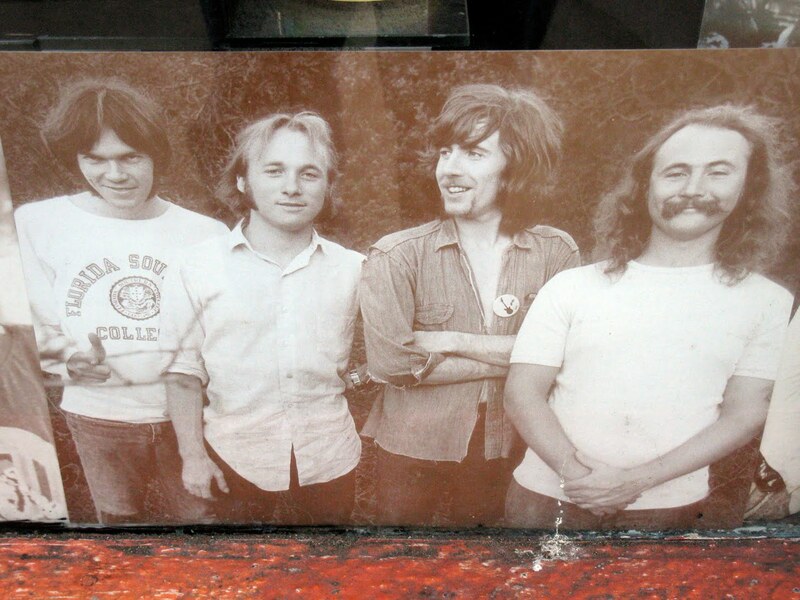 By October of '67, many of the Summer of Love's participants left to resume their studies or "normal" lives and the local hippies sensed what a long, strange trip it had been and that their movement had played out. They staged a mock funeral for the "Death of the Hippie," telling would-be visitors to stay where they live and bring the revolution there. 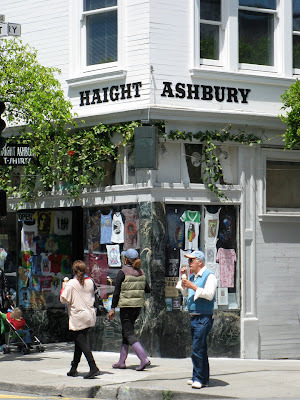 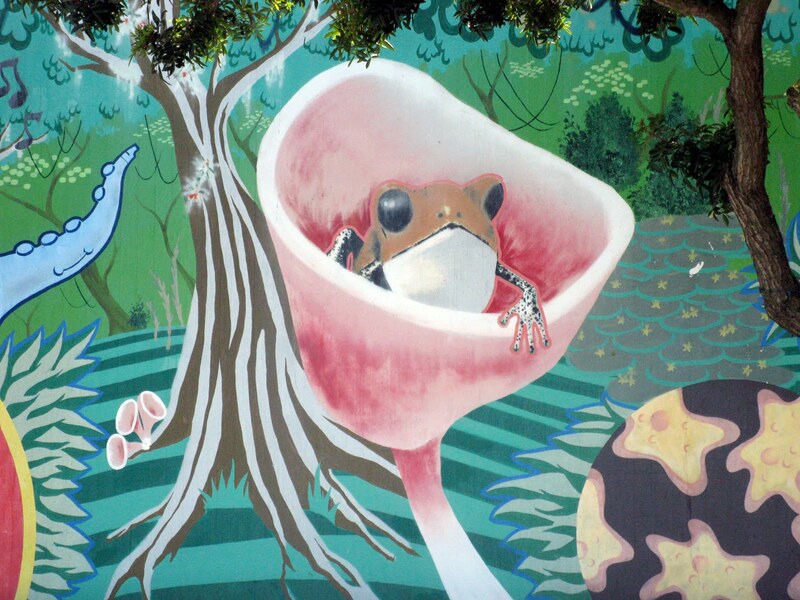 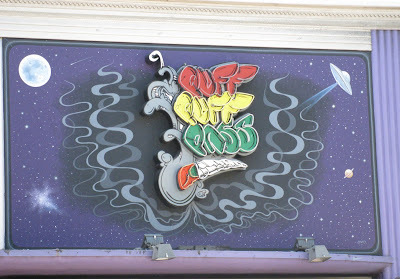 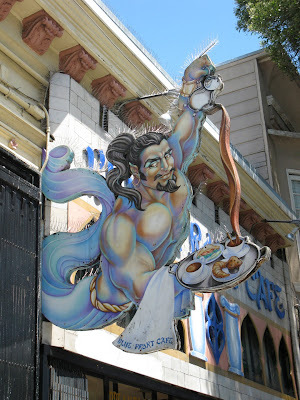 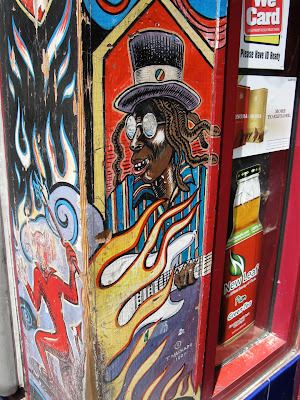 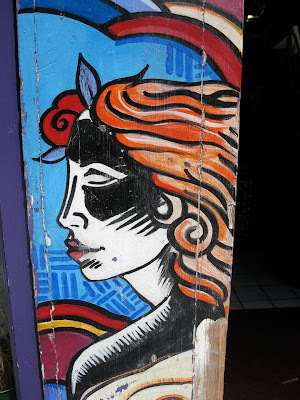 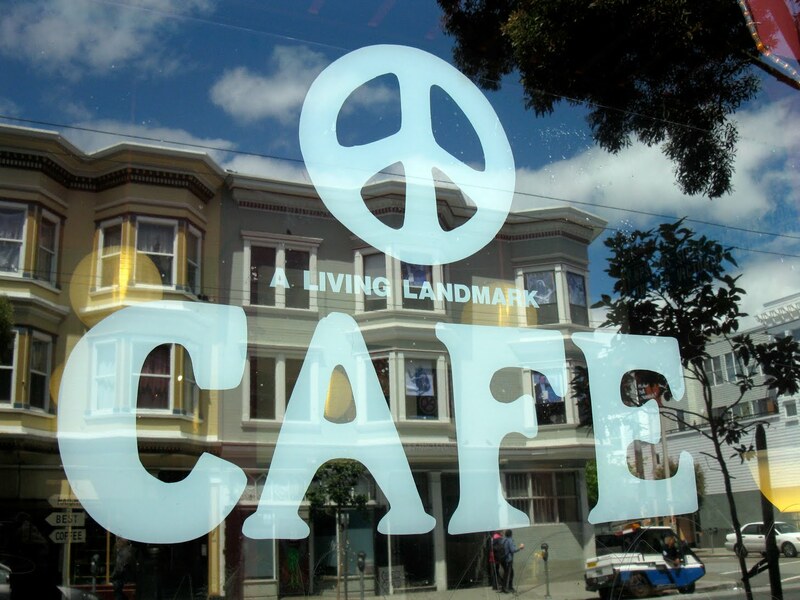 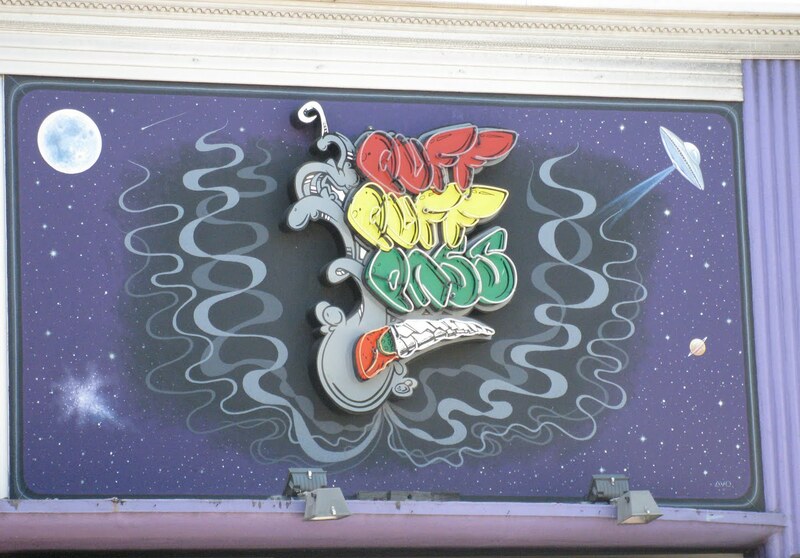 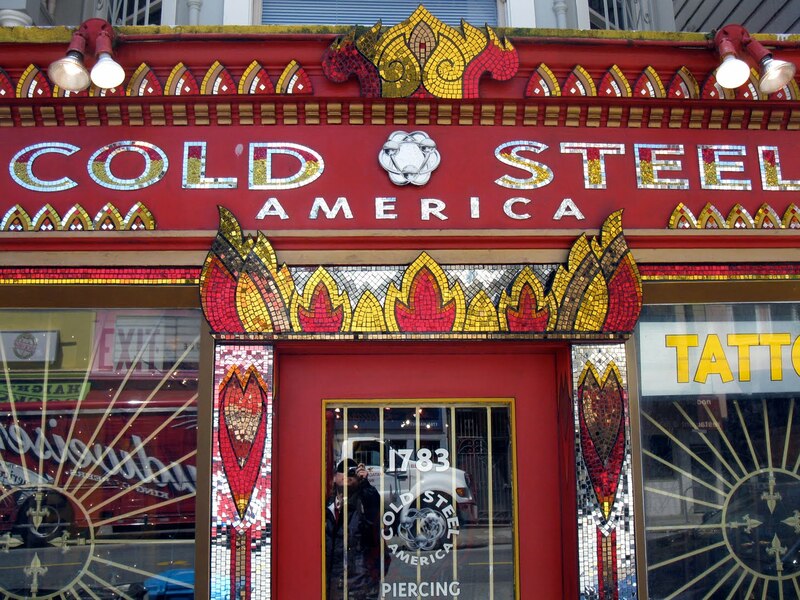 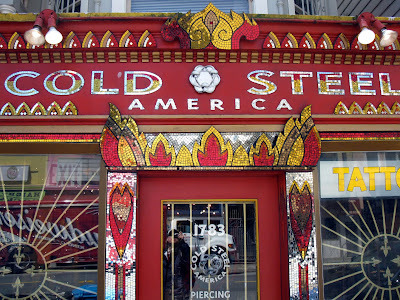 Haight Ashbury never did regain its counter-culture high, but it did remain a funky locale for artists and nonconformists, and today it still has the far-out flavor of the do-your-own-thing '60s, with some modern-day gentrification thrown in. 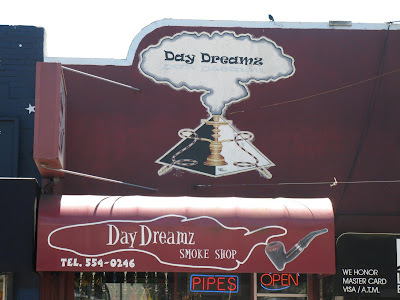 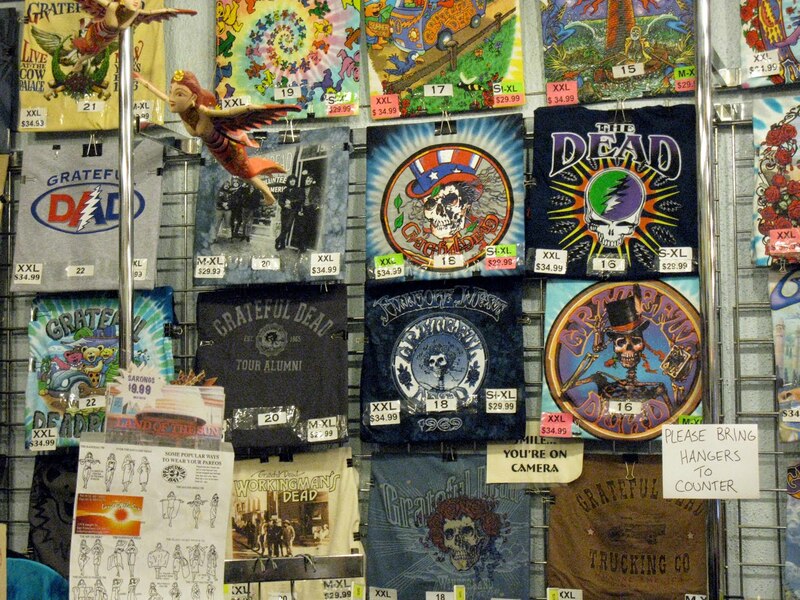 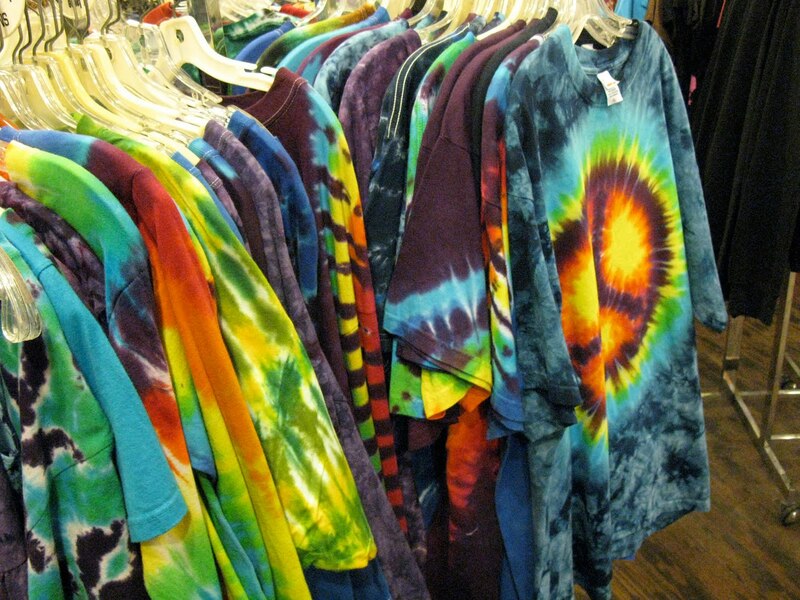 There are lots of independently owned boutiques, smoke shops, curio emporiums and restaurants with psychedelically-festooned signs inviting you to come on in and let your freak flag fly. In an odd way, it's reminiscent of Colonial Williamsburg... an authentic recreation of an historically significant American village. 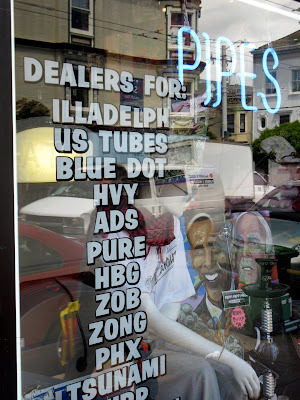 Perhaps they need some hippie reenactors to explain the deeper meanings of "In-a Gadda-da-Vida" and point out proper hookah technique at Ye Olde Head Shoppe. 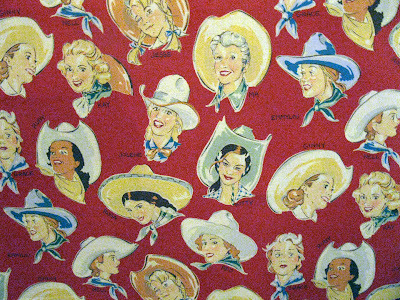 And one more thing: after you're done grazin' in the grass and before you feed your head on incense and peppermints and let the sunshine in, be sure to wear some flowers in your hair. 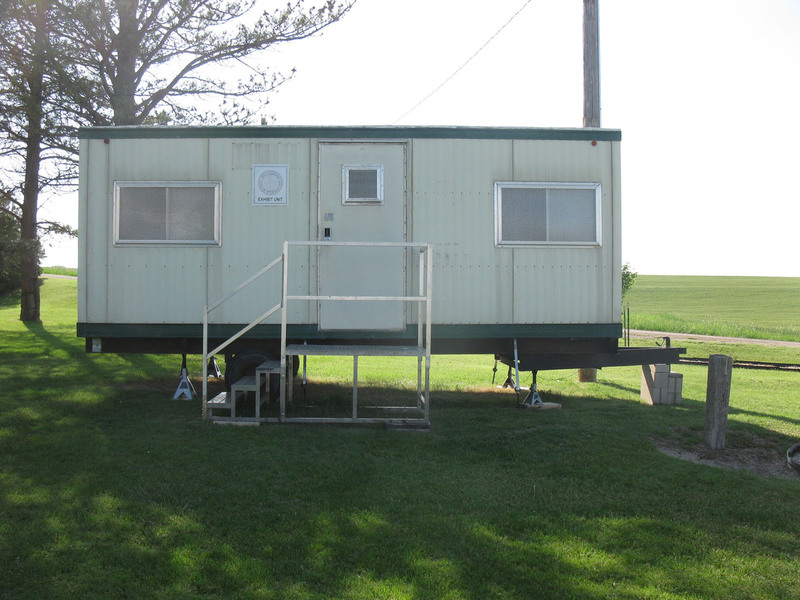 There's Middle America, and then there's Lebanon, Kansas. 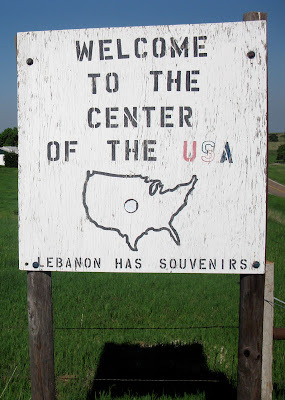 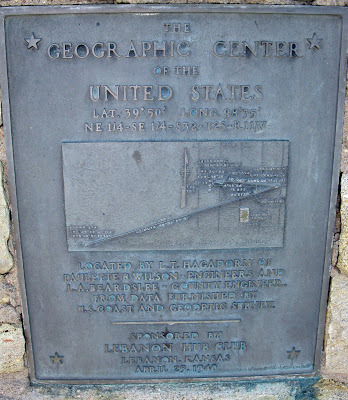 Lebanon is at the exact geographical center of the 48 continental United States and they have the latitude (38,50) and longitude (98,35) to prove it. 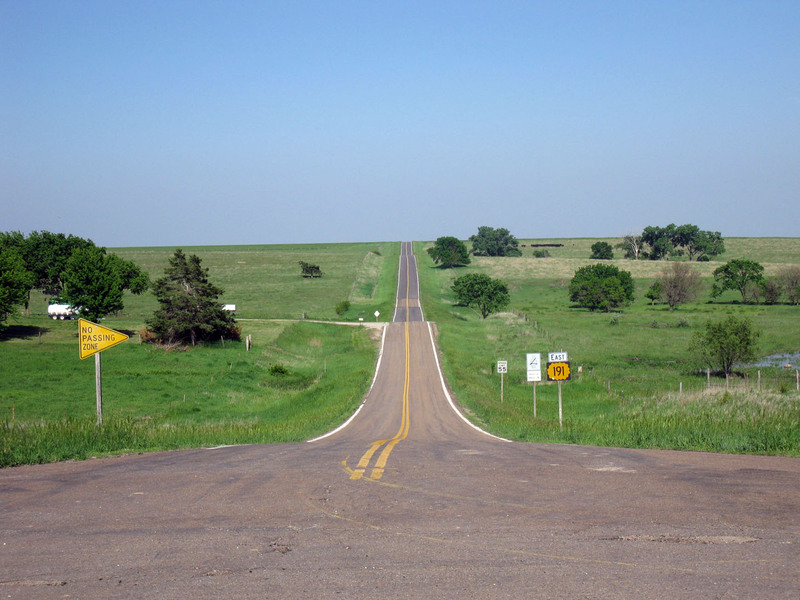 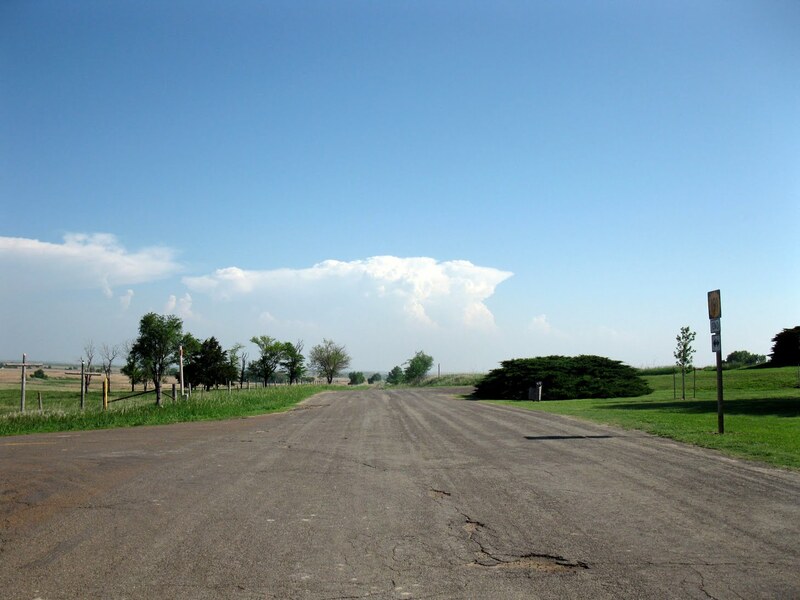 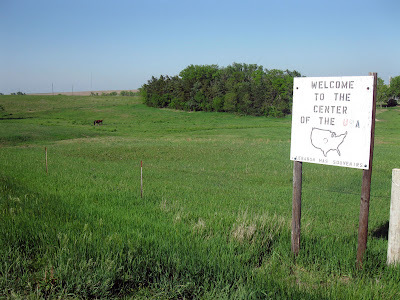 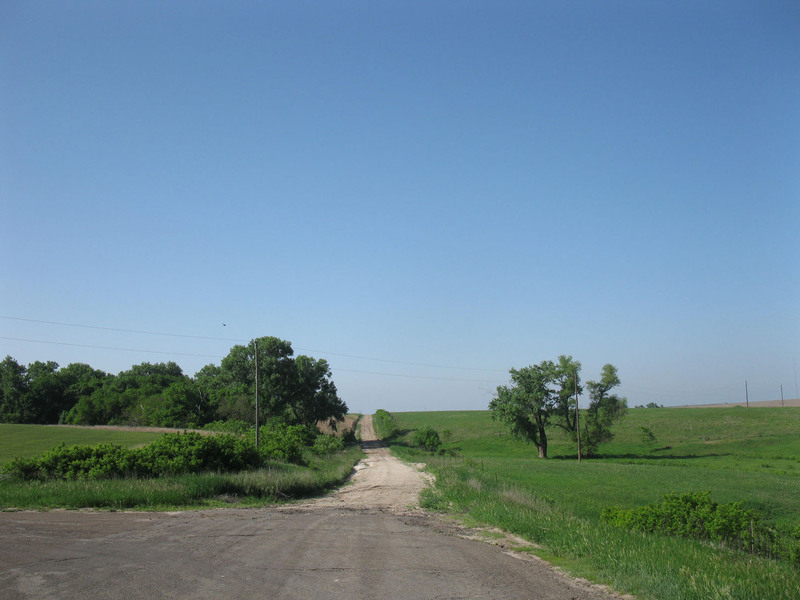 And, while the north central Kansas town gets its fame from being in the middle, it has more of an edge-of-nowhere feel to it, as long as the edge-of-nowhere is a pretty, pastoral place. Gently rolling hills, dirt roads, the occasional horse running wild...that's about it. But that's okay. The middle of America should be a place for calm, peaceful reflection, far from the frantic coasts to the east and west and international borders north and south. There's a pyramid-like marker with a plaque from 1940 when an L.T. 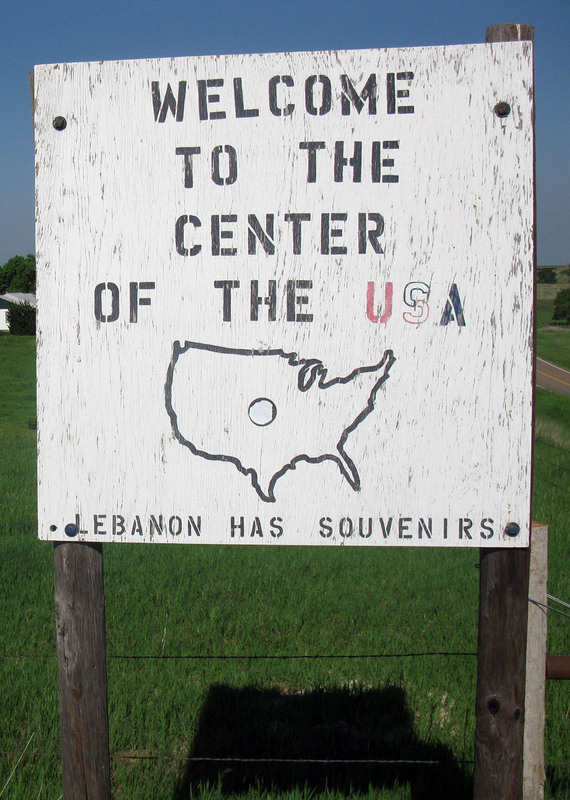 Hagadorn and an L.A. Beardslee literally put Lebanon on the places-in-the-middle-of-other-places map. 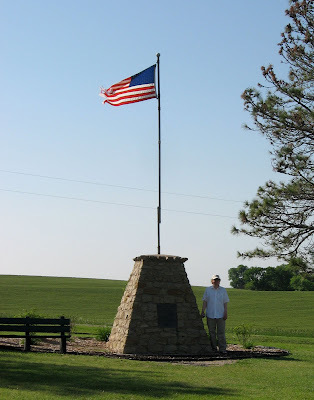 Sticklers will tell you that the actual really, really, middle point is about a half a mile away on a private farm and this is as close as the marker builders could get. 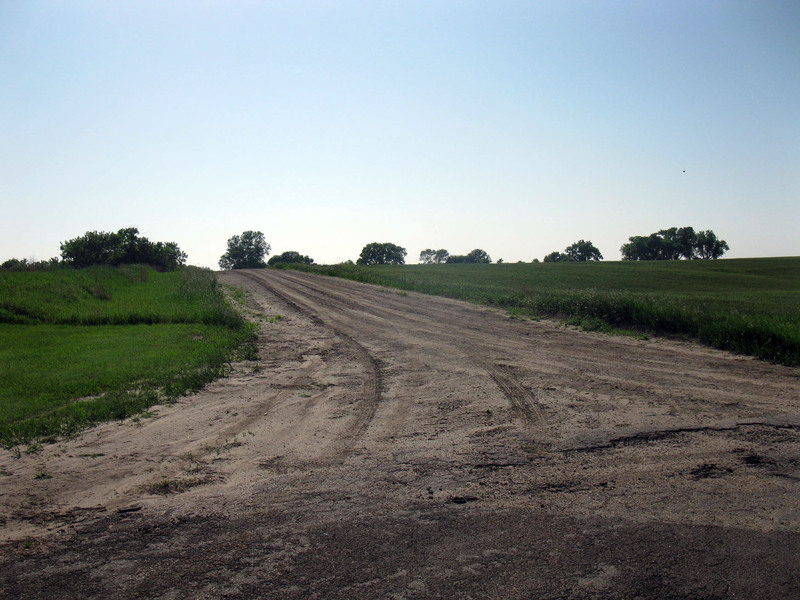 Apparently, the farm's owner didn't want middle-seeking tourists trudging on his land. 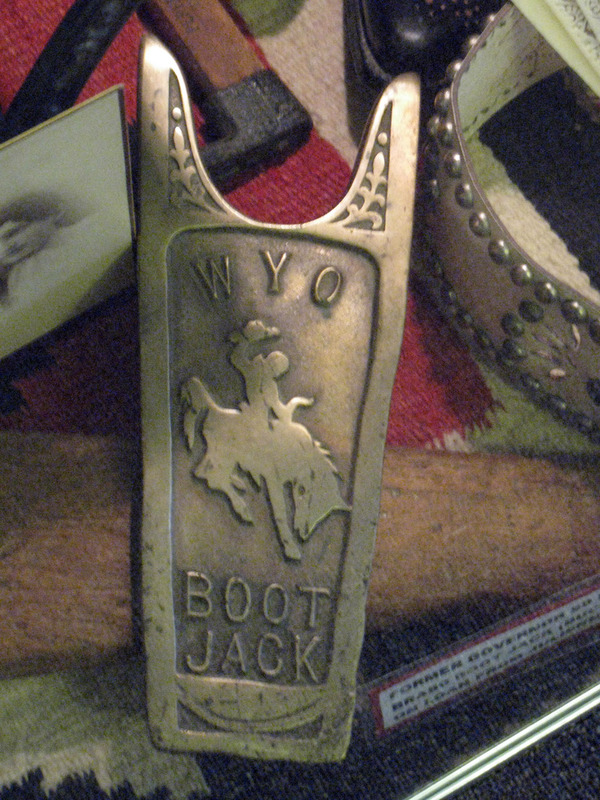 There's also a trailer with some nice artifacts in it, or so we were told. Unfortunately, in order to unlock the door, you have to call a phone number for an access code and, alas, we were not getting any service on our Motorola. I guess there's just never a phone booth when you really need one. 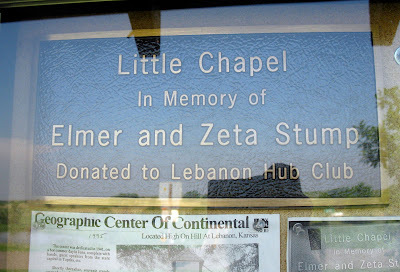 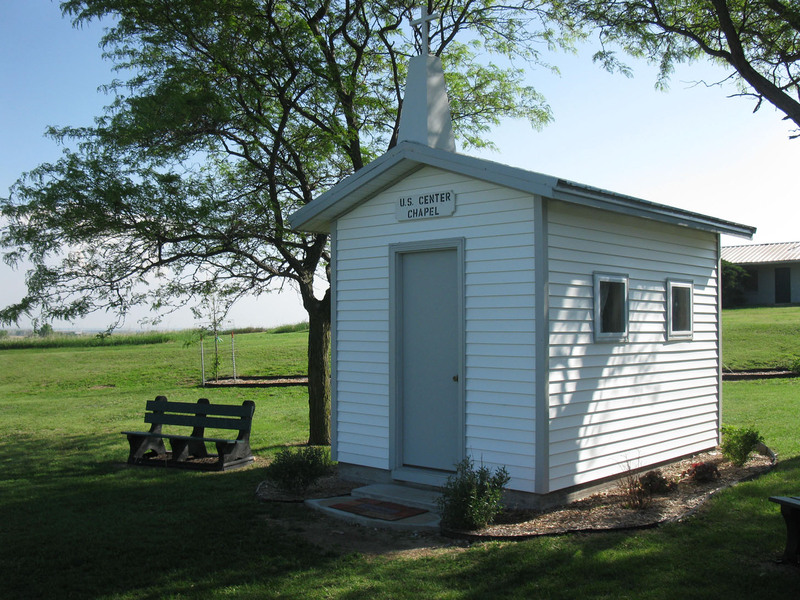 For quiet meditation, there is what has to be one of the nation's smallest chapels, with room for four or less parishioners, depending on girth, built in honor of Elmer and Zeta Stump. 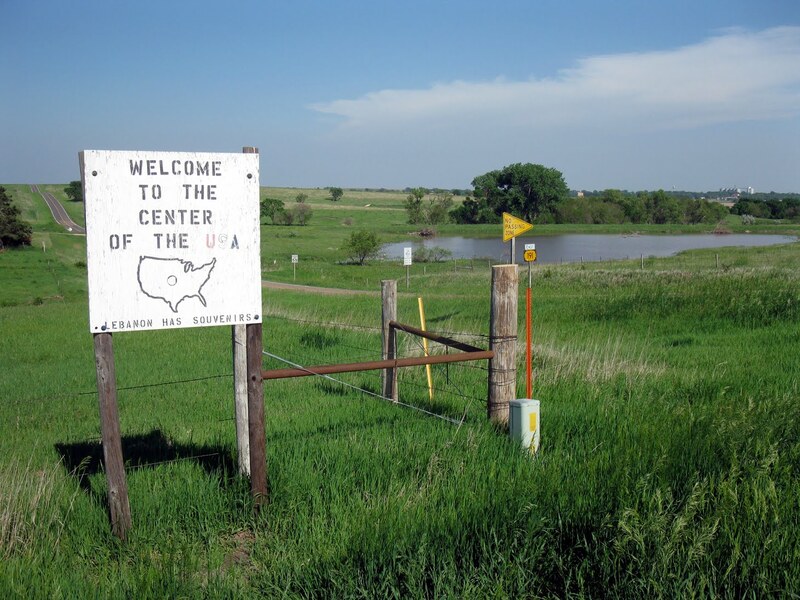 But mostly this is just beautiful country, where the middle of nowhere is actually the middle of somewhere, and that somewhere is pretty awesome.